Consider what could be done if we were to bring our resources, our influence, and our ideas together to create a force that would accelerate the completion of the Great Commission in our generation. In subsequent passages in the New Testament, He unfolded the basic elements of His plan as to how this should be accomplished. In Mark 16:15 he told us the scope of the task was to preach the Gospel to every creature. In John 4:35, he talked to us about the urgency of the task, because the fields are white for harvest. And in Matthew 9:38 he told us to pray to the Lord of the harvest to send laborers to accomplish his mission. In several other passages of the New Testament he showed us the importance of going in the power of the Holy Spirit (Acts 1:8) and of his followers meeting together to stimulate each other on to love and good deeds. This was His plan on how we should accomplish the task that He gave us. So, while we have agreed that this is what He has asked us to do, and in some cases we have even worked together, we find ourselves unable to clearly identify the places and the people that still have not been reached with the Good News after 2000 years. We are all aware of the importance of sharing Christ with those around us, but if we are truly obedient to the Great Commission we will take the command to go out to all, the entire world, seriously. This will take all of us working together toward the most neglected parts of our world. As I thought about these verses, the following questions were on my heart: “Why do so many go to the same places? Why would we not go to places where the Gospel has never been shared?” We in the body of Christ have been laboring to bring the Good News to the world for hundreds of years; yet, there is still much work to be done. It seems we can go anywhere in the world and find a particular brand of soft drink or hamburger, yet there are still millions of villages and neighborhoods with no local church or Christian witness. Consider what could be done if all of us were to join together and bring our resources, our influence, and our ideas together to create a force that would accelerate the completion of the Great Commission in our generation. Consider what could be done if all ministries of evangelism would come together and form a collaborative network that would share strategic plans and determine where each would go and where gaps still exist. Resources and strategies could then be shifted to fill the gaps and avoid duplication. We must be intentional and collaborative, whether as donors, Christian leaders, mission organizations or individuals, in focusing on the remaining task—those unreached places where Christ has not been named. Imagine what could be accomplished if ministry leaders would examine the lists of unengaged, unreached people groups to whom no one is going and determine how God could use what has been entrusted to them to work alongside indigenous leaders in extending the reach of the church. We all believe what we are doing is right and is what God has put on our hearts; however, if we are to make progress on the unfinished task, we must work together, align our skills and resources and bring clarity on what is yet to be done. 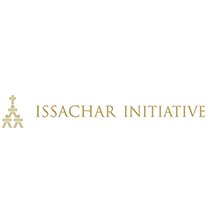 Issachar Initiative is passionate about helping the body of Christ take the whole Gospel to the whole world. No one organization can do this alone. Together we must determine where the Gospel has been and where those places are that are yet unreached. May we be men and women of Issachar who understand what is involved in our Lord’s Great Commission (every tribe, every nation, every people) and who know the progress we have made to date. Men and women who are using their influence, their expertise and their resources in an intentional and strategic way to help fulfill the Great Commission together — in obedience and for His sake. Ministries of evangelism to come together and form a collaborative network to share strategic plans and determine where each would go, where gaps still exist. Ministry leaders to examine the lists of unengaged, unreached people groups and determine how God could use what has been entrusted to them to work alongside indigenous leaders in extending the church. Christian brothers and sisters to join together and bring their resources, influence, and ideas together to create a force that would accelerate the completion of the Great Commission.